My new book is OUT NOW!! Our food is our best medicine, but the food we're eating today is making and keeping us sick. Learn why traditional, nutrient-dense foods kept generations of our grandparents healthy, happy and free from the modern diseases that plague us today and how you can put them back on your table! Welcome to making midlife your time to shine! Midlife is a time to SHINE! Our midlife is a pivotal and the start of a journey of new discoveries about who we are and how we want to live. For a woman, it's absolutely the time to embrace our wisdom, share our gifts with confidence and to step forward courageously to make the rest of life, the best of life. To help midlife women do just that, I've researched, curated and presented information from a wide variety of trusted sources and top experts in functional and integrative medicine and holistic healthcare practitioners and offer it here at Izabella Natrins Food Health Lifestyle because you're worth it. ♥ I've been struggling for too long with multiple health issues - an intestinal or digestive disorder, an autoimmune condition, miserable hormonal dysfunction, infertility, a thyroid problem. I'm pre or T2diabetic with distressing weight-gain or obesity. My body's crying out: "Help. Me. Now." You’re one of many women who just want to feel well and live more! As women, we're hard-wired and deeply invested in wanting to save the world - to 'fix it' for everyone from our partner and family, to our planet... and, when there's time and energy, to show up for ourselves. But we're trying to do so much at once that the effect on our well-being - mind, body and spirit - is not only overwhelming, it's just not sustainable. We want to show up to be the best we can be... to shine... but our energy, motivation and our health just isn't co-operating! Do you feel it? The sense there's an answer out there, but no-one's putting their finger on it. You've googled your eyeballs sore, searching for symptoms, patterns and solutions. You're frustrated for lack of knowledge, worried and confused about what to do, think and eat next. You are not alone. To inform, inspire and support you to hear your body's whispers before it starts to scream; to help you to put the traditional foods that kept past generations healthy, back onto your table; and to build resilience with sustainable lifestyle choices for much better health in midlife and beyond. And, the success of my personal journey in freeing myself from a debilitating autoimmune disease and the prospect of a lifetime of strong medication is living proof that our health is powerfully in our hands. ♥ A mentor, helping you to understand why food-is-medicine and why education comes before medication; teaching you how to put the nutrient-dense traditional foods that kept generations of our grandparents fit, lean and free from chronic diseases, back onto your table. 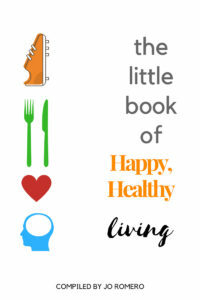 ♥ A coach, helping you to get clear on your health goals and priorities; supporting you with information, inspiration and the motivation to take small, actionable steps for the wins - the diet and lifestyle changes that get you into the driving seat and put the pedal to the metal for more energy, vitality, control and much better health. ♥ An ally, on your side, encouraging you to gain the confidence to manage your own health. An ally in allowing you to shine and make rest of your life, the BEST of your life. If this resonates with you, health coaching can make the difference between wishing life was better and creating a much better life. Women hold the family and indeed, the whole world in the palm of our hand. Our archetypal roles of 'Queen', 'Mother', 'Wise Woman' and 'Lover' call on us to be deeply intuitive and intensely concerned with our young, our mate and our ‘pack’ - and by extension, our planet. But it’s a heavy load: Overwhelm, fatigue and the feeling we need to do more, be more and care more depletes us daily. As we transition to midlife, in caring for others, our own health and happiness are suffering – and so is our ability to hold everything together. Many of us, beleaguered from puberty by less than optimum health, are left feeling that our health and our vitality is slowly ebbing away. Well it's time to reclaim it. Our food and lifestyle is our first medicine. 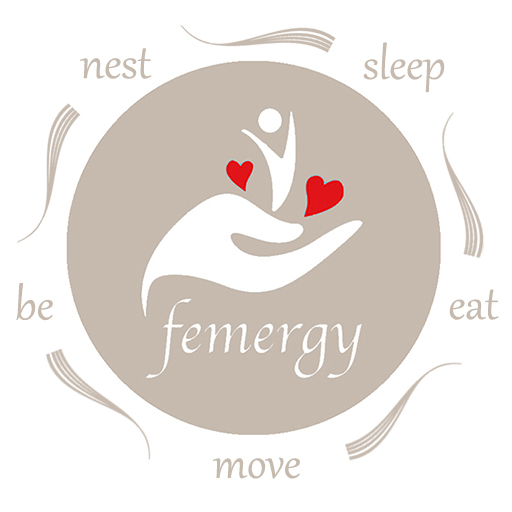 By making delicious (no-fad) food and powerfully simple lifestyle changes we really CAN restore our femergy, make midlife our time and make the rest of our lives the BEST of our lives! As a midlife woman (and beyond! ), I walked miles in your shoes and I know that I can help you to get back your energy, your vitality, more control and much better health. 30 years' experience in the health space and as a qualified holistic nutrition & lifestyle health coach, a certified GAPS (Digestive Healing) practitioner, a nutritional chef, a speaker and author (and a partner, a mum & a grand-mum) has taught me that our health is our wealth... not our 'stuff'. I reclaimed my energy, vitality and failing health from a debilitating autoimmune disorder by making delicious food and simple lifestyle changes. I turned back the clock on my disease and on the ageing process! I felt so well that I developed the IzabellaNatrins.Com website and my Femergy@40 Nutrition and Lifestyle Coaching Programmes to help you do the same. My book Once Upon a Cook - Food Wisdom, Better Living will make you want to change the way you eat, reclaim your kitchen and take back your health. So let's make your midlife shine and the rest of your life the best of your life.